Create a checksum of the random sequence by taking the first (entropy- length/32) bits of its SHA256 hash. Divide the sequence into sections of 11 bits. Map each 11-bit value to a word from the predefined dictionary of 2048 words. 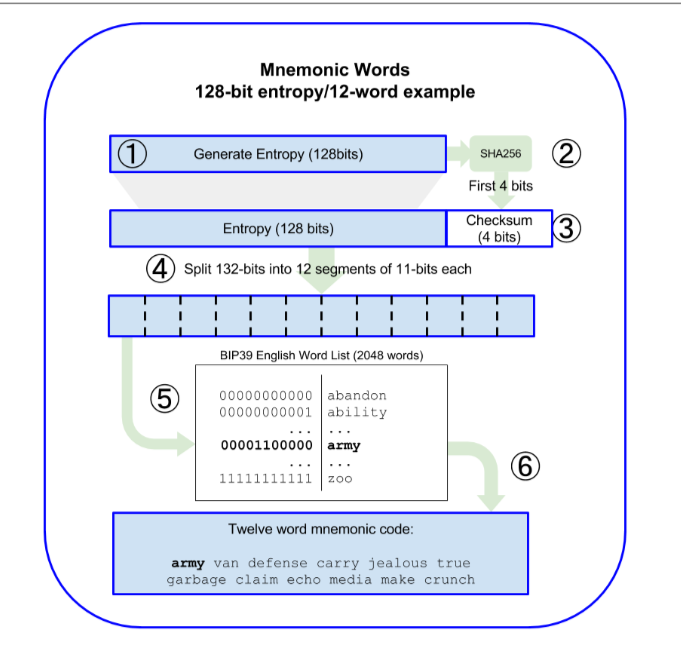 The mnemonic code is the sequence of words. Your binary (which includes the 4 checksum bits 0111, or 7) has the leading null's removed. Not the answer you're looking for? Browse other questions tagged wallet bip32 mnemonic-seed or ask your own question.